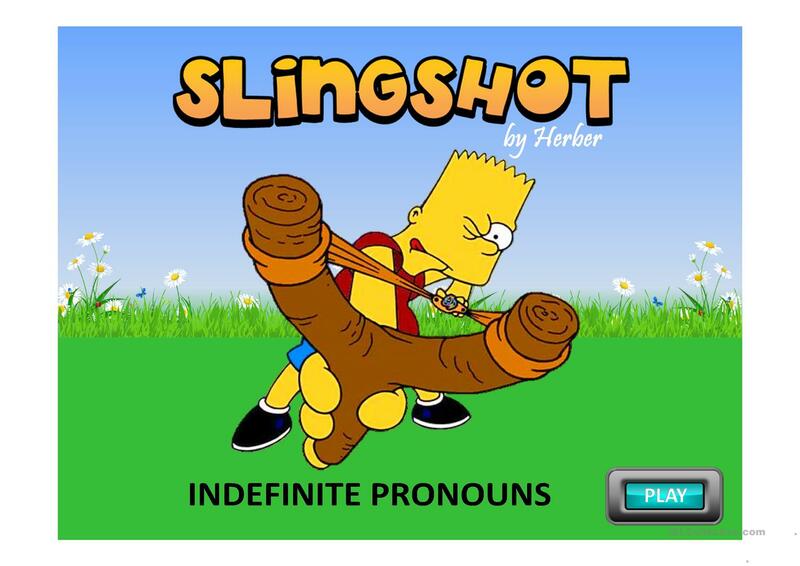 This Powerpoint presentation is a multiple choice game on indefinite pronouns. 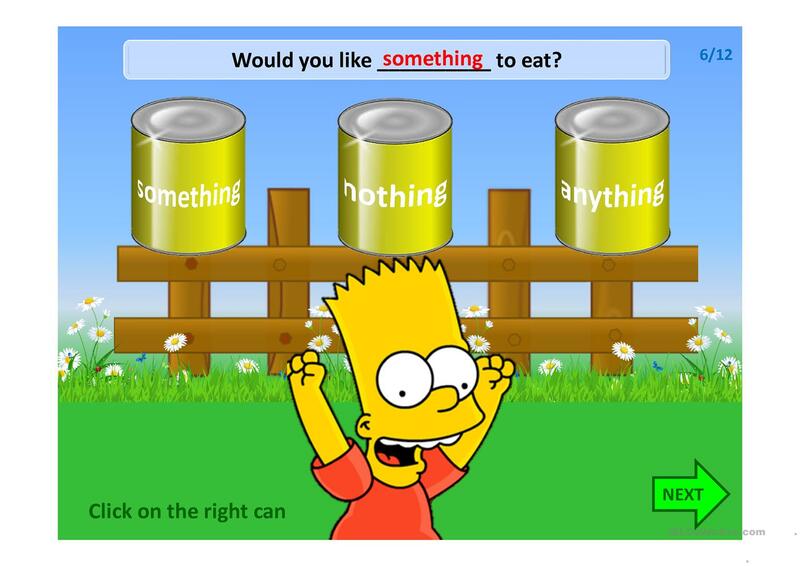 The students have to complete the sentences by clicking on the can with the correct pronoun. The present downloadable teaching material is recommended for high school students, elementary school students and adults at Pre-intermediate (A2), Intermediate (B1) and Upper-intermediate (B2) level. It is great for teaching Personal pronouns in English, and can be used for improving your learners' Speaking and Reading skills. It focuses on the theme of Actions. The answer key is provided, too.